With Gliss from Hun Chi’ik Tours at the sign for Actun Tunichil Muknal. It’s an archaelogical reserve in deep Belizean countryside. 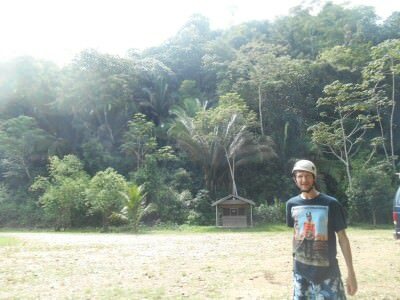 As well as a nature trail, forests and rivers ATM (not a cash point) is most famous for its incredible caves, which was the pull for me. 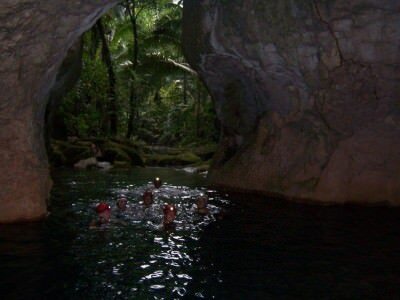 I had been to a fair few caves before (like Jenolan Caves in Australia , the Tiger Caves in Israel and Batu Caves in Malaysia) but this was a full on swimming experience in the caves! 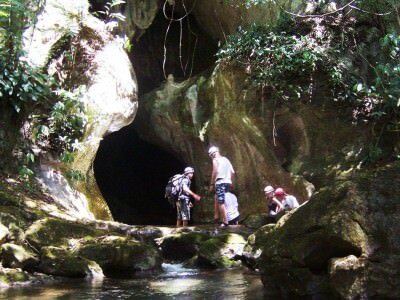 We were going to be swimming in the caves! OK so it’s not the easiest place to get to, nor to get back from (as we found out). 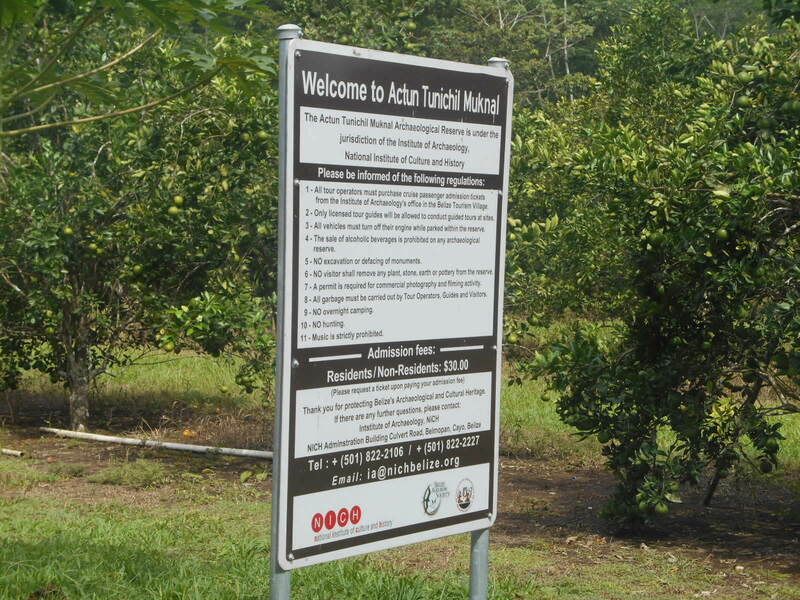 There is absolutely no public transport direct to Actun Tunichil Muknal (ATM). Nor is there any need for it as you’ll likely be booked on a tour, or have your own transport. 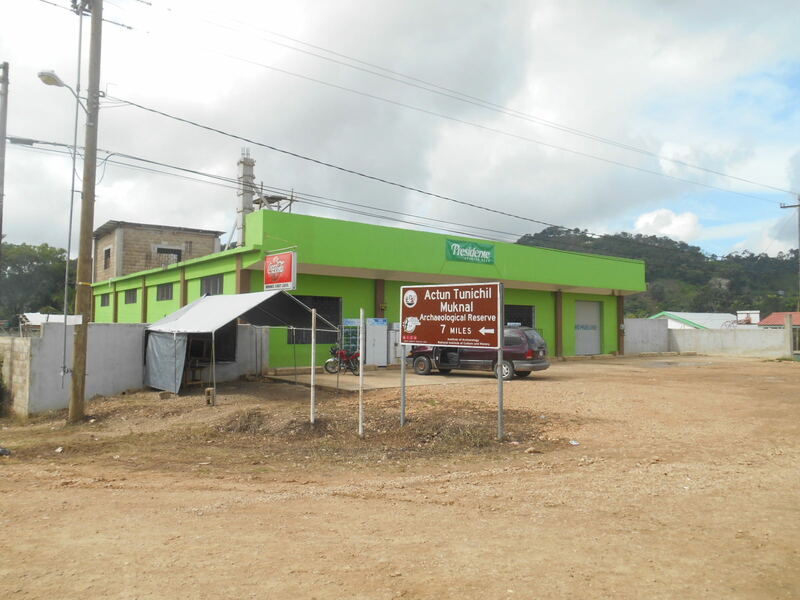 However as backpackers, we were based in Belmopan (at the highly recommended El Rey Hotel – same place that does the excellent cheesecake) and headed to the main bus station in Belmopan for 7.55am. 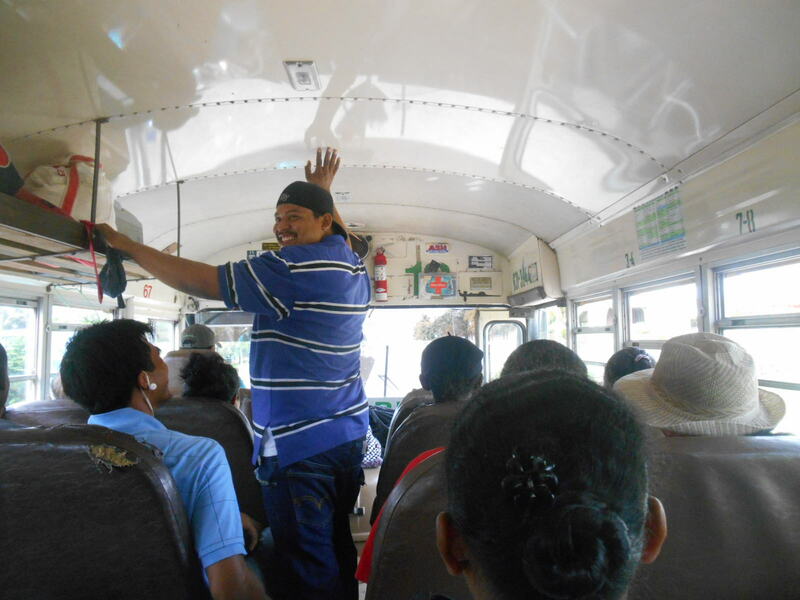 Through the hotel, Nick who runs Belize Travel Services can help you out with personal tours and trips as well – tailored to your needs – Travel@BelizeTravelServices.com . 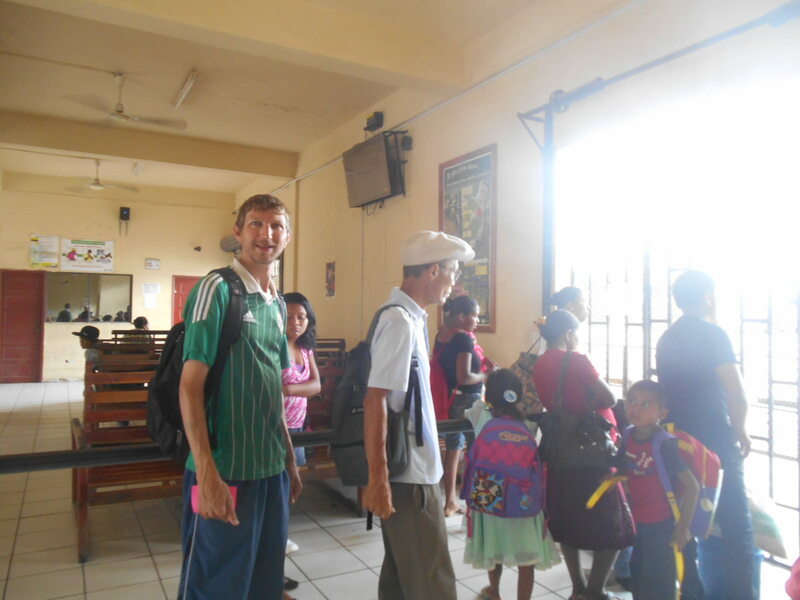 At the main bus station in Belmopan, Belize. 8am. We heard there was a bus to the border town of Benque Viejo del Carmen leaving at 8am. However the day we went was a holiday (great planning there by me eh?!) and buses were packed and infrequent though one finally rocked up at 8.25am so we got in. 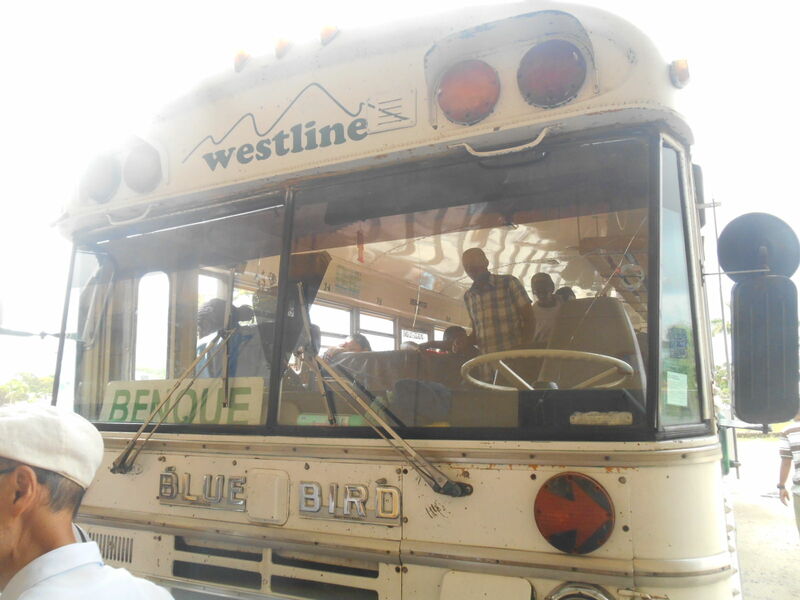 The border bus doesn’t go to Actun Tunichil Muknal but it can stop in the village of Teakettle for you. Perfect. The bus to Benque which we called for the driver to stop at Teakettle. When you board the bus, tell the driver and the conductor (dude who collects the money) that you need to get off in Teakettle at the turn off for Actun Tunichil Muknal. 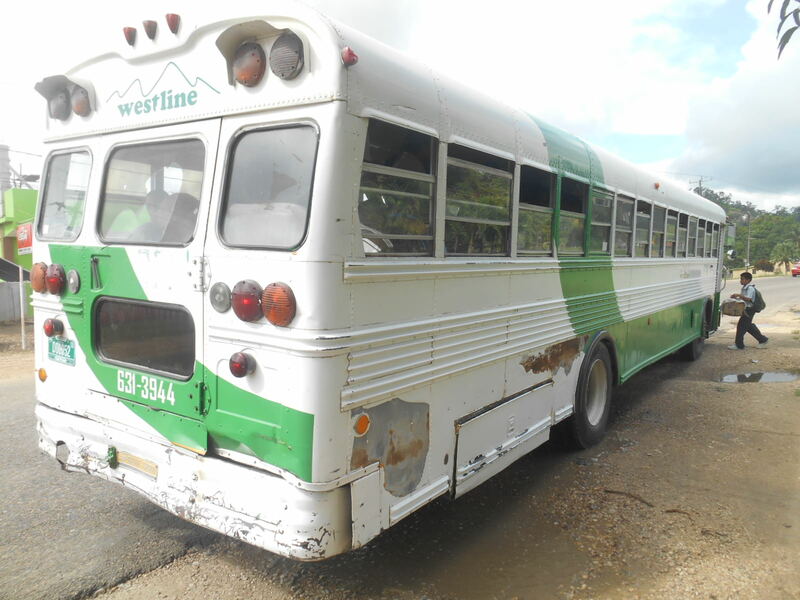 The cost of the bus from Belmopan costs 2 Belize Dollars ($1 US). The bus journey takes around 30 – 40 minutes and you will also pass through a village called Camalote on route – the next village along will be Teakettle. 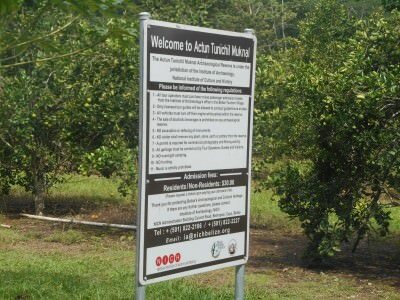 You can’t miss the sign that tells you Actun Tunichil Muknal is only 7 miles away. 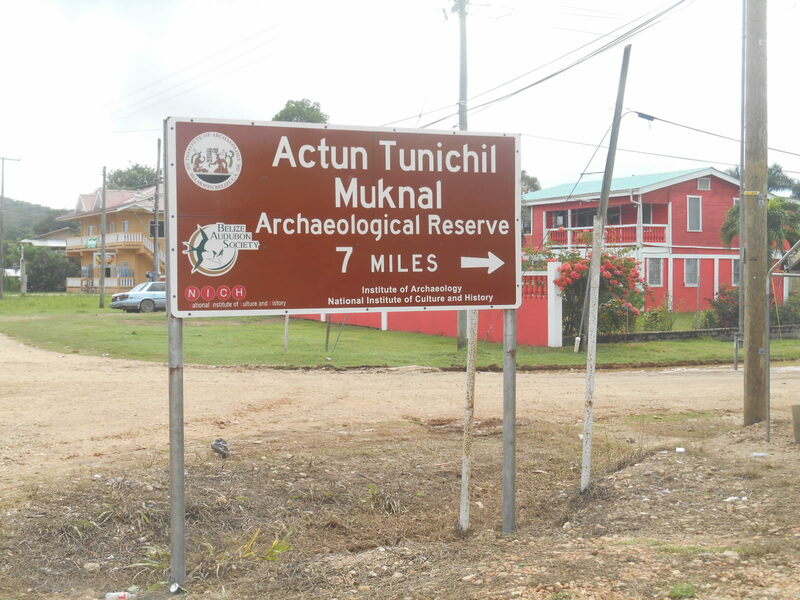 Actun Tunichil Muknal is only 7 miles from Teakettle. Quite simply – Actun Tunichil Muknal is well protected by the Belizean government and understandably so – it’s an archaealogical heritage site and therefore MUST be done on a tour with a guide. Panny with Gliss, our cool guide for the day. Are there many guides to choose from? The answer is NO! Basically it’s quite a niche and there are less than 70 people in the entire country that are able to be a guide for this tour. Our judgement and choice could not have been better. We chose Hun Chi’ik Tours and our guide was Gliss, a really cool local guy. I’d completely recommend them – check out their itineraries and Facebook Page and if Gliss is available, ask for him! The arrangement we made with Gliss was to meet us outside the green supermarket on the corner next to that very 7miles sign. True to his word, as soon as we stepped off the bus, Gliss was there!! He drove us in his mini-bus down to Actun Tunichil Muknal entrance point. The tour costs 100 Belize Dollars per person including lunch and water, and your equipment – the only extra expenses will be the entrance ticket and your transport to Teakettle and back. The green supermarket where we met Gliss, our guide. Once you get to the gate of Actun Tunichil Muknal, you have to pay the entrance fee for your ticket. 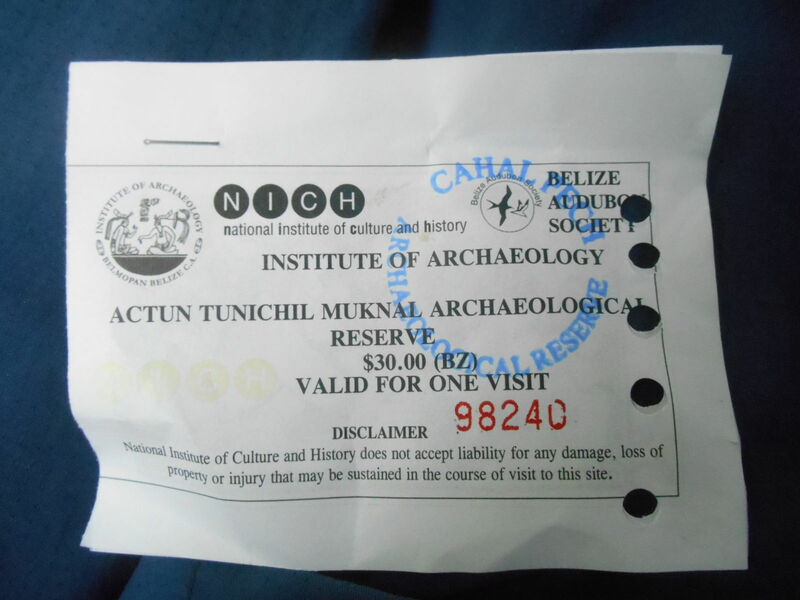 It’s a one off price of 30 Belize Dollars (or $15 US Dollars) and you are issued with a ticket. Once you are beyond the gate, it’s time to get ready for the tour. To save time here, we recommend already having your swimming trunks or bikini on from the start of the day. We got there for about 9.30 am and within a few minutes were ready to go. and that was it! That’s all you need. You don’t need to take much with you – it’s all about enjoying the caves! Obviously you’re going to get wet anyway and it’s not safe to bring a camera, but we wanted to get some photos of the first part of the hike and the swim through the rivers on route to the cave, and even a photo at the entrance to the cave. I asked a few times to a few different people and the answer was a resounding NO! Cameras anywhere beyond the starting point of the hike are completely banned. Obviously I’m there for the experience rather than the photos, but as I’m a travel writer and blogger, I wanted to share my photos and videos with you. But for this post, sorry I can’t. Yes, I really did the tour and I loved the caves but I have no proof that I was actually in the caves. At the visitor entrance where you pay in, and they also remind you that cameras are banned from this point onwards. Why are Cameras Completely Banned? OK so some idiot tourist got cameras banned for all of us. 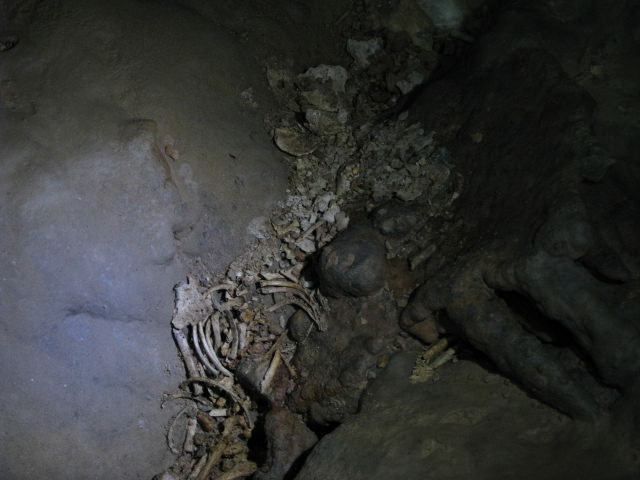 About two years ago a tourist took a camera into the caves and decided they would take a close up photo of one of the skulls (the skull of a child on one of the upper parts of the cave). A Mayan Skull in the caves – photo courtesy of Ray from The World According to Weech. They dropped the camera right into the skull creating a massive hole which is still there now (and we were shown the hole). 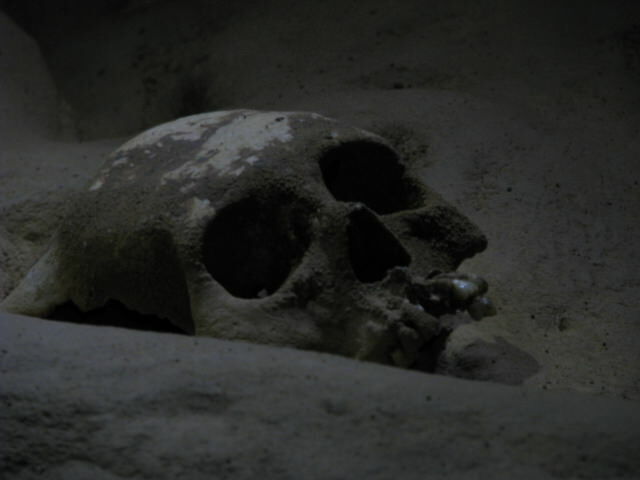 So after years and years surviving all sorts of things, this skull from Mayan times was smashed by a tourist. Idiot. And for that reason, nobody is allowed a camera to go inside!! Strict rules – no cameras allowed. 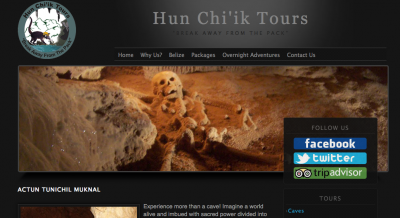 But never fear, Hun Chi’ik Tours have had to make up for it by letting me use their photos from before that (which are on their website) and a fellow blogger and traveller, Ray Weicha from The World According to Weech has also allowed me to use some of his excellent photos from 5 years ago before the “camera idiot” took his Canon to the skulls of Actun Tunichil Muknal! One of Ray’s photos of Mayan Pottery that we also saw but couldn’t capture on film. 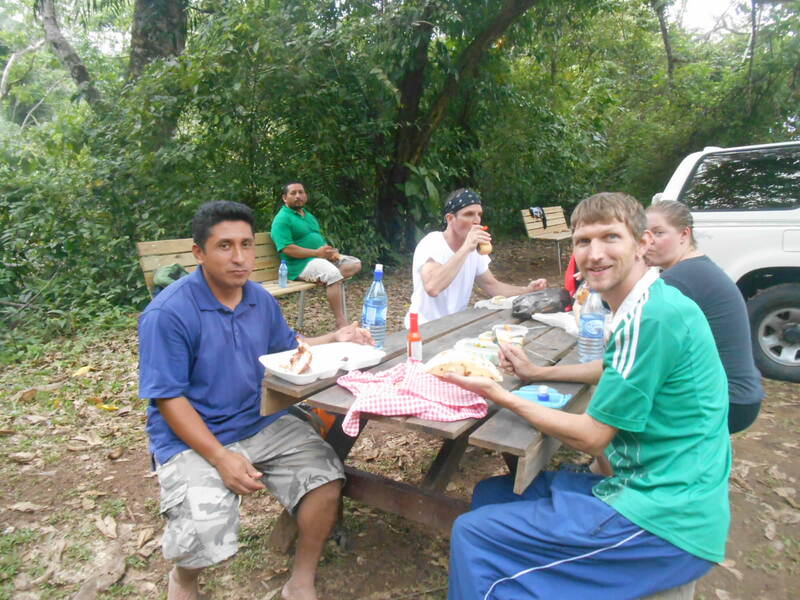 The first part of the tour is a simple outdoor hike. Nothing strenuous at all – enjoyable countryside and forest where you pass some nice trees and you get wet to the waist crossing three rivers. 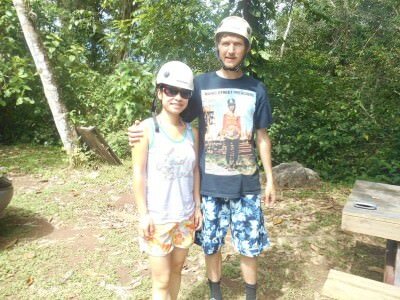 Ready for the cave tour but no photos beyond the start of the hike. After that short and easy hike, which took us about 45 – 50 minutes or so, we arrive at the entrance to the caves. There are some facilities here like a hut and a toilet and a cover to store things under while you go into the caves. Here are the main things you do inside the caves. A lot of the caves are immersed in water, some of it is too deep to walk through, so you have to swim. So make sure you have noting of value in your pockets!! You can also request a lifejacket and to be honest you don’t need to be a great swimmer to swim the few sections of the cave that are too deep to walk in. Does it seem odd that I enjoyed this part?? I mean I was just walking through water, but it’s a great experience. You have your headlamp on and can look all around you. Keep your eagle eyes on the lookout for wildlife. In the water we saw fish and crabs. Out of the water, bats and insects. It’s the formations that make caves so inspiring for me. 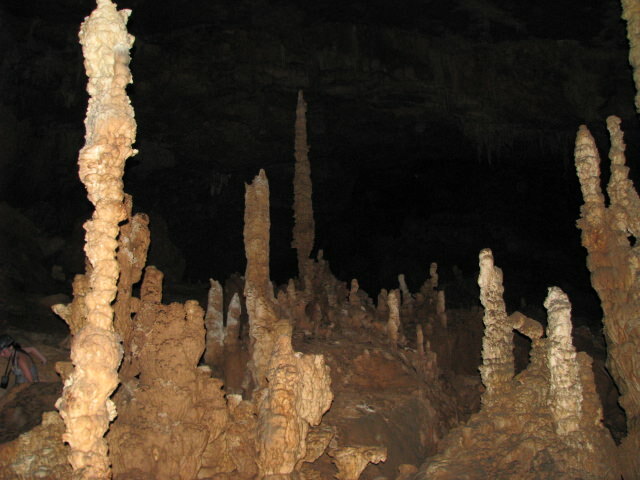 Just looking around in almost every part of the cave you will see a load of natural formations of stalagmites and stalagtites all over the place, formed naturally down the years from water and the minerals inside this “hard water”. 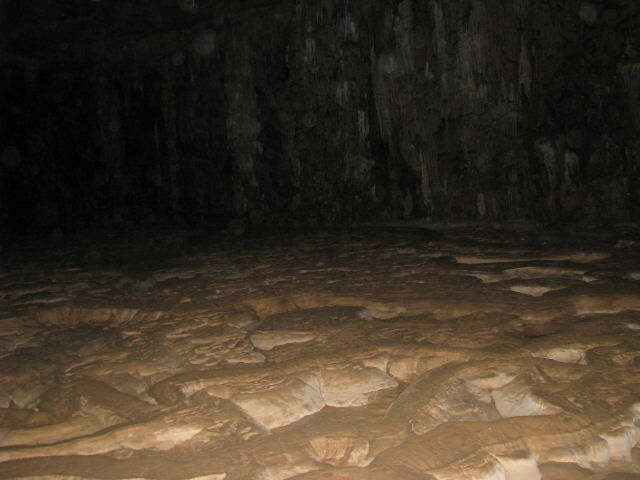 The Cathedral – a massive open space/room inside the caves. Just before you reach the Cathedral you will have been asked to take your shoes off – but keep your socks on. Shoes off to protect the site of course, socks on to maintain your own grip and prevent body oil going into the surface. 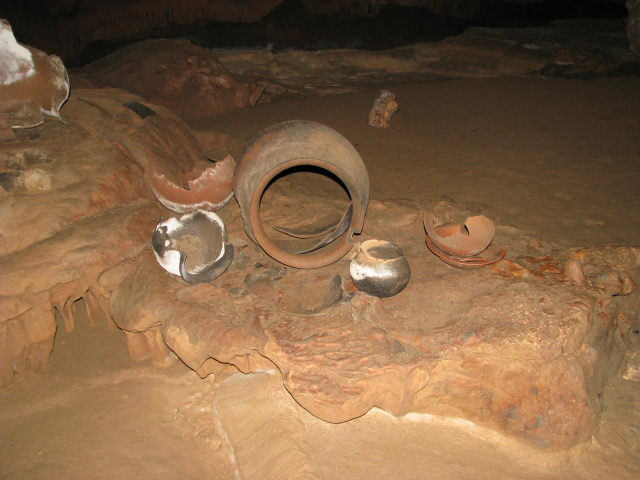 Pottery from Mayan sacrificial times. The walk takes you up and round and the archaelogical areas are all sealed off. 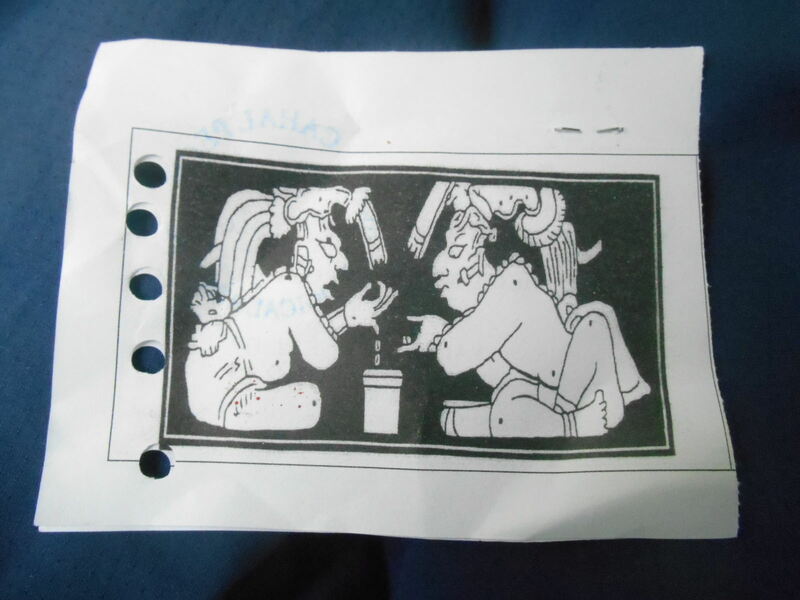 Then Gliss explains the whole “Mayan ritual” to us – these bodies we see here are sacrifices, apparently, and some of them are children and teenagers. 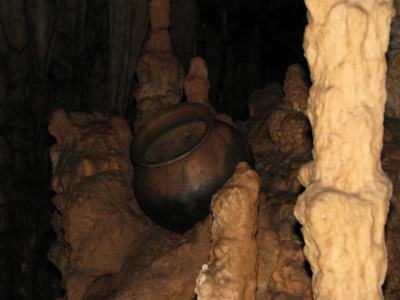 Only a total of 14 human remains have been found – a low number and there are many many more pots. These pots were cracked and believed to have been some kind of spirit releasing murder weapon, although murder under the disguise of sacrifice. At the end of the trail there is a full human skeleton believed to have been a teenager. Fully sacrificed and intact. Sources have no idea whether it was a male or a female. The Crystal Maiden – a full skeleton at the end of the trail which remains fairly intact. It’s hard to know what really happened here in fact but Gliss does his best to describe what has been discovered and the tour proves to be very interesting and insightful, plus a tad gory and eye opening. 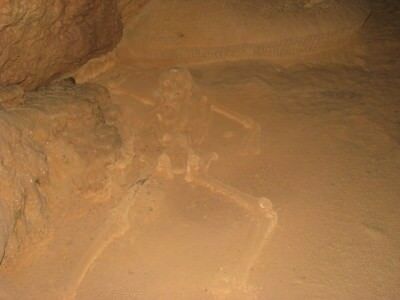 After seeing this “crystal maiden” skeleton, we head back – the same way we came. Except the way back is quicker as we’ve seen it all before and done the stops we needed. Another image from Ray from inside the caves. 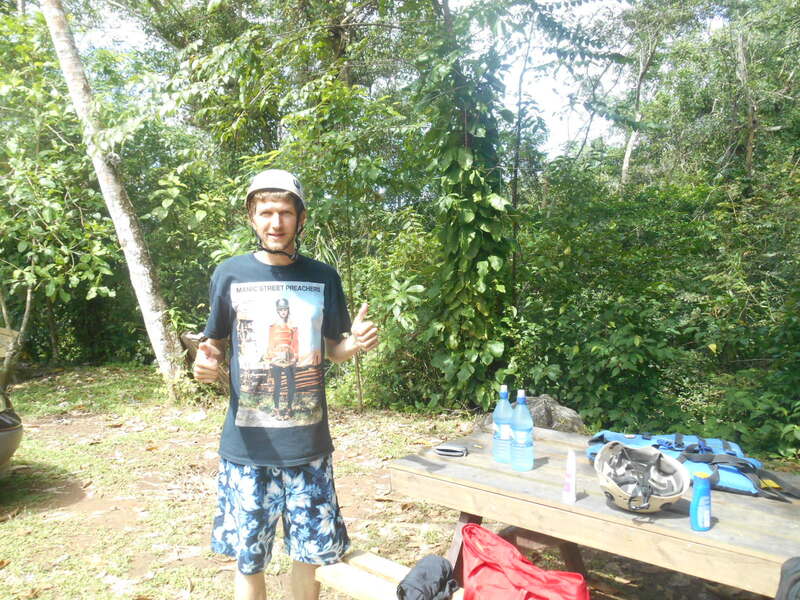 Once back at the car park, we can have a shower here, change our clothes and get ready for lunch. 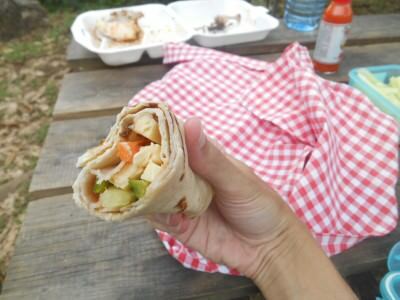 Lunch is a “make your own wraps” session and I mix cheese, carrot, pepper, tomato and turkey into my wrap. I then add a load of spice. 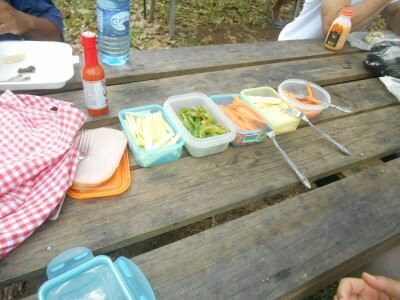 Lunch at Actun Tunichal Muknal. We water it down with water of course. After that it’s time to go. We are dropped off again by Gliss on the corner of the entrance by the green supermarket in Teakettle. 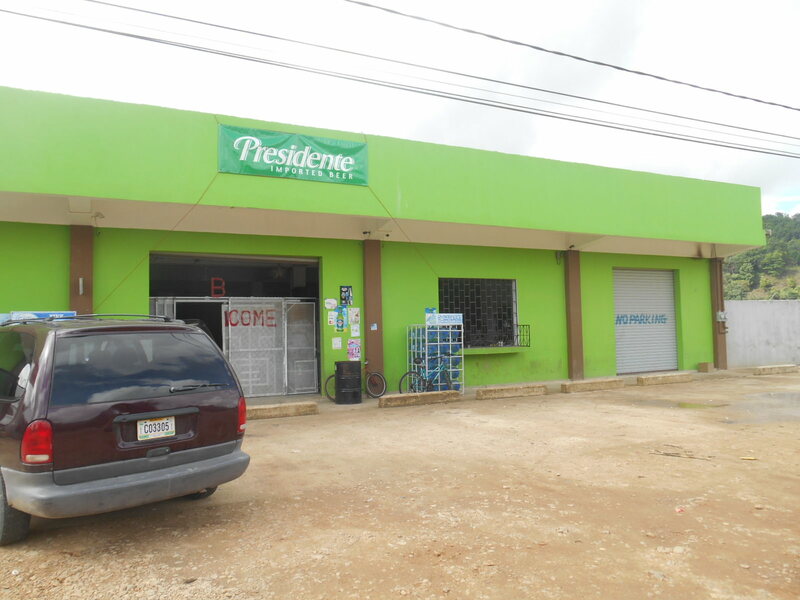 The entrance by the green supermarket in Teakettle. 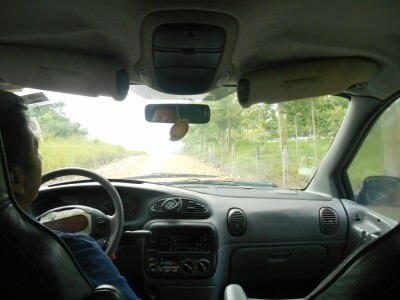 After that we end up hitch hiking back to Belmopan as no buses come past – we get a ride from a Taiwanese uncle and nephew who talk away to Panny and the day is complete, expertly organised by Hun Chi’ik Tours. 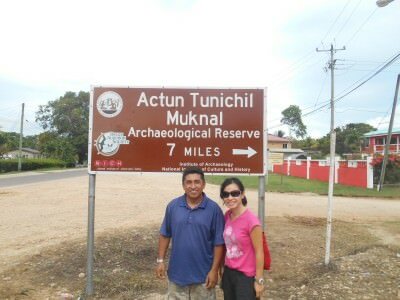 This entry was posted in Actun Tunichil Muknal, Belize, North America, Teakettle. Bookmark the permalink. Glad you listened to my advice and checked out this place! Very eye opening and gory indeed, and a truly unique caving experience that most people would not normally get! It’s unfortunate that one inconsiderate tourist ruined everyone’s ability to take their own photos and video here, though. Belize is typically lax when it comes to banning items or tourists from certain Mayan ruins. I remember we were allowed to walk up and down Lamanai in Northern Belize whereas Mexico is starting to ban such activities with their set of ruins – Chichen Itza, for example. So, for the love of God, people, PLEASE, PLEASE, PLEASE respect Belize’s Mayan ruins! We are lucky that they allow us to get so up close and personal like this!! Hi Ray, thanks for the comment and the excellent tip – I didn’t get to do all the things you suggested but hey everyone’s journey is there own and I did a few other coll things instead – especially loved Belmopan, Xunantunich and San Pedro. The idiot camera person annoyed me too, you can’t even take a camera up to the entrance of the cave now which is what we wanted – we didn’t want photos of the skulls, just the caves and swimming (and we have a waterproof camera). El Salvador also don’t allow walking on San Andres, Tazumal or Casa Blanca and I liked that – they’re preserving them well. For Teotihuacan in Mexico, you can walk up most of the pyramids which is great. Your report on ATM Cave is spot on (i.e. gives it the justice it deserves) and I am more than happy to share my photos with you and your readers. 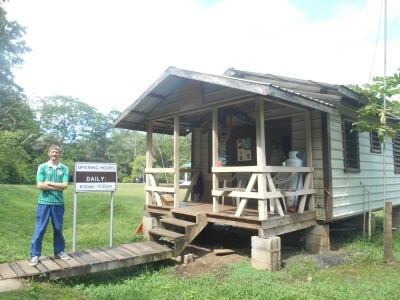 I am hoping they will be inspired to check this place out whenever they make it to Belize themselves. Did your tour guide mention anything about additional chambers beyond the Crystal Maiden that they still have yet to excavate? 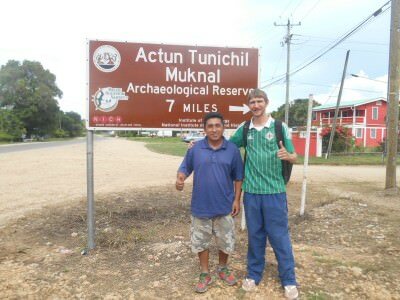 We were told by our guide that there might as much as 2 miles worth of tunnels yet to be discovered with even more Mayan artifacts and sacrifices along the way!